While searching for a reported sea monster a ship is attacked by the supposed beast and destroyed. The only survivors are a French scientist, his assistant, and an impetuous ship's harpooner. They discover the attack was not from an unknown sea creature but a highly advanced submarine called the Nautilus. After destroying their ship, the submarine rescues the three survivors. They find that the Nautilus is piloted by a mysterious captain who has withdrawn himself from the outside world to seek solitude within the ocean's depths. Aboard the Nautilus the survivors are kept as both prisoners and as guests. 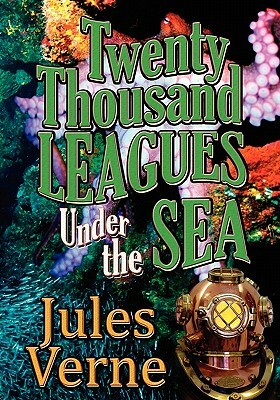 They embark on a journey of 20,000 leagues (60,000 miles) through the world's oceans and seas. Here they encounter a strange new world teaming in unknown marine life and natural wonders. They discover underwater forests, fight off an attack from a giant squid, get imprisoned in ice at the South Pole, endure terrifying storms, survive a war with a pack of sperm whales, and uncover sunken continents. Their lives in danger, they seek a way to escape their underwater prison.